The Wolfram Foundation's objective is to support education, research, and entrepreneurism. On our own and with our partners we organize and manage programs and create long-term resources to realize the promise of science and computation in building the future. 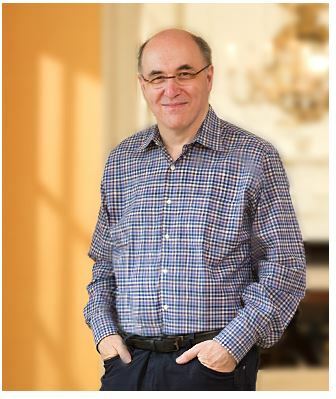 Stephen Wolfram is a distinguished scientist, inventor, author, and business leader. He is the creator of Mathematica, the author of A New Kind of Science, the creator of Wolfram|Alpha, and the founder and CEO of Wolfram Research. Wolfram has been president and CEO of Wolfram Research since its founding in 1987. In addition to his business leadership, Wolfram is deeply involved in the development of the company's technology, and continues to be personally responsible for overseeing all aspects of the functional design of the core Mathematica system. Wolfram has a lifelong commitment to research and education. In addition to providing software for a generation of scientists and students, Wolfram's company maintains some of the web's most visited sites for technical information. Wolfram is also increasingly active in defining new directions for education, especially in the science he has created. The Wolfram Foundation is a 501(c)(3) nonprofit organization focused on education, research and entrepreneurship.